Why hire a Corvette Stingray? 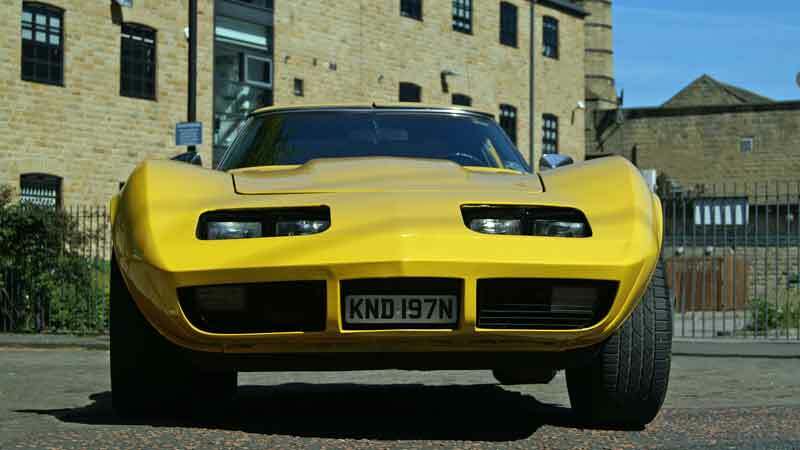 If you are going to hire a Stingray, then surely it’s got to be one that screams look at me!!! 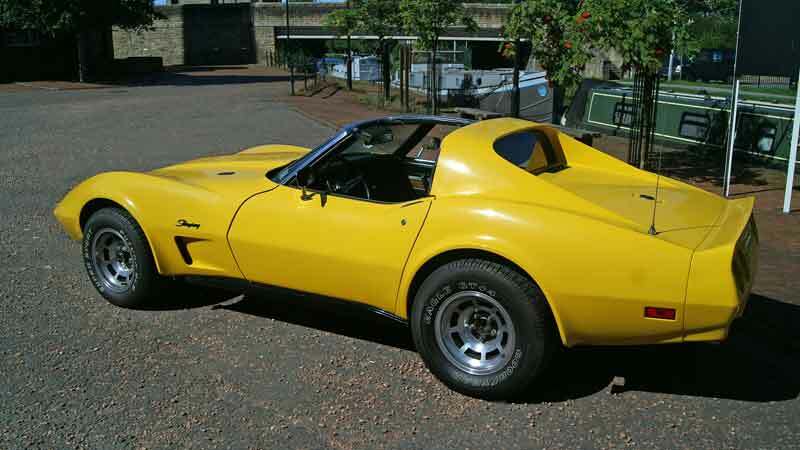 Our Stingray, painted in Ferrari Daytona yellow, certainly catches the eye. Not only will people see you coming, but with its thunderous V8 burble, they will definitely hear you too! You feel like you’re in a movie when you drive this cool American Classic Car from the 1970s. 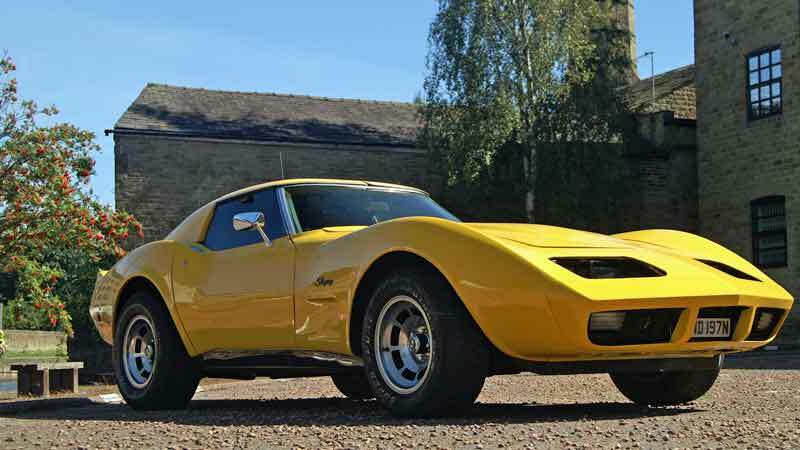 A Corvette Stingray hire makes a terrific surprise gift for any classic American car lover. Of course, the occasion where you most want to get noticed is your wedding. Take the Targa top roof off and from a distance people will see the car, close up they will see you as well as the car. 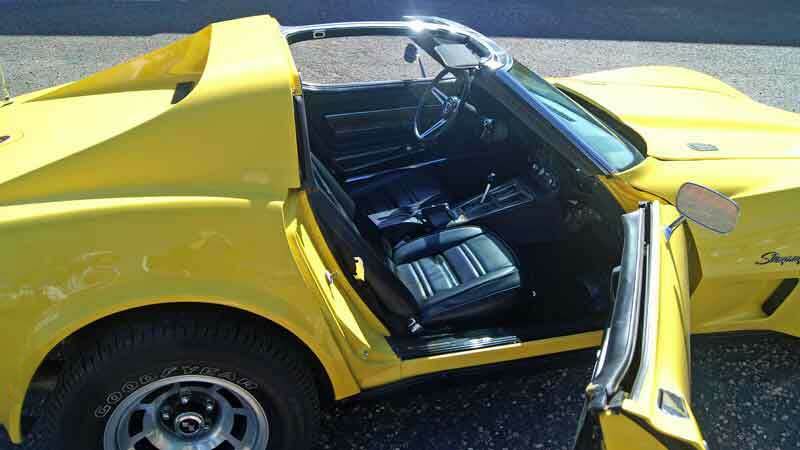 The first thing you can’t really miss on our 1975 Corvette Stingray is that it’s yellow. The interior is black are there are black highlights on the sills, grille and lights. The car is lightly customised with “Le Mans” headlights rather than the original pop-ups, together with the rear spoiler from the later models. You get the straight rear window from the earlier model combined with the spoiler from the later ones. Why didn’t Chevrolet think of that? These features make our Stingray just a bit unusual and we think a whole lot better. The wheels are polished alloy, and the engine is the Chevrolet “small block” 350 cubic inches, or 5,700 cc, with a proper V8 muscle car sound. By the way, in America 5,700 cc is small, the “big block” version being a whopping 7,500 cc. The roof is a Targa top, which means it lifts off and can be stowed in the luggage area, giving you a choice of hard top or roof down motoring. Being American, the C3 Stingray is left hand drive with an automatic gearbox. Our car originates from Texas, the Lone Star State, and the drive just feels very American. 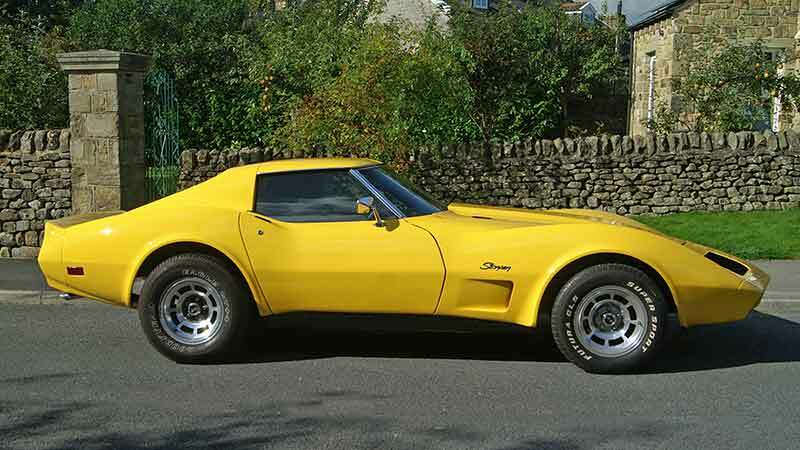 A Corvette Stingray hire gives you the opportunity to drive a very special classic American hire car. With its long, bold bonnet and exaggerated wheel arches, it’s a tough, masculine looking machine. Informally known as the Vette, the Corvette is an all-American sports car manufactured by Chevrolet, which is owned by General Motors. Overall the Corvette has seen seven generations, having been in production in various guises from 1953 to today. Over one and a half million Corvettes have been produced in total, making it one of America’s most loved sports cars. It has been one of General Motor’s flagship models for over half a century. 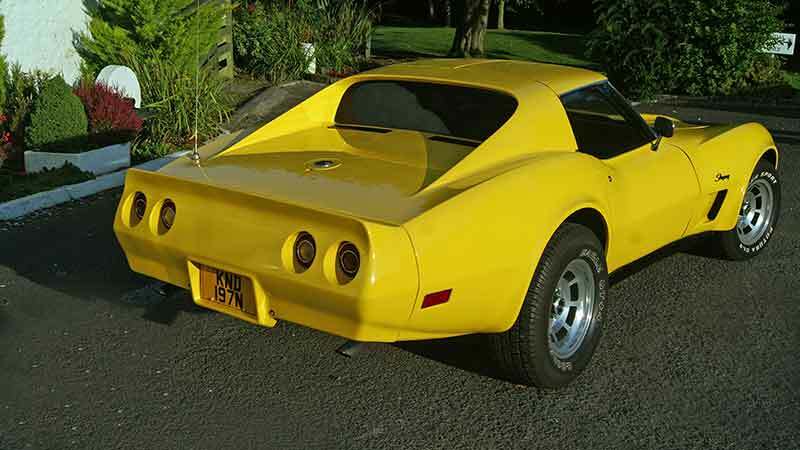 Ours is one of the third generation corvettes – the C3 version, produced between 1968 and 1982. C3 Corvettes were based on the Mako Shark II concept car design of Larry Shinoda. This generation of cars are mostly referred to as ‘shark’ by enthusiasts for the aggressive styling. Being narrower in the centre than at the ends, Stingrays also acquired the nickname ‘coke bottle shark’. The C3 Corvette was the longest-running generation of Corvettes and the 2nd generation of Stingrays (1969-1976). The ‘Sting Ray’ name was not used on the 1968 model, but returned in 1969 and was spelt as one word – ‘Stingray’. 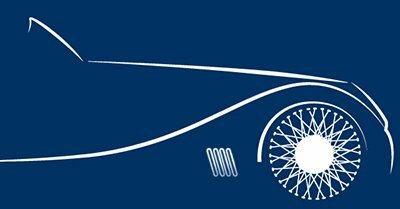 The car took a large styling leap and included innovations that would be integral for generations to come. It was the first year of catalytic converters and the emission controls that led us to today, and the first year with electronic ignitions. Between 1968 and 1982, almost 380,000 C3s were made. Our C3 Corvette rolled off the assembly line in 1975, along with about 38,500 others produced that year. You might have seen C3 Corvettes in the films Apollo 13, Rush Hour, or Boogie Nights and raced with it in Gran Turismo and Need for Speed. Put yourself in the driving seat of this iconic American sports car with a Corvette Stingray hire. Power assisted steering box. Left hand drive. Alloy wheels with radial tyres. A limited amount of luggage can be stored behind the seats. Period style radio, but the exhaust sounds so much better! Gift vouchers available for that special person in your life. The All Day option is ideal for those who want a tour of the Dales, Moors or even the Lake District. The generous mileage limit of 200 miles will even get you to and from the East coast. The majority of people do around 170 miles when they hire a car for 1 day, and don’t incur excess mileage charges. The 24 hour option is evening to evening and suits those who are planning an overnight stay. The weekend option lets you take a relaxing weekend, with enough miles included to stay in either the Lake District, or the Yorkshire coast. The 2 day midweek option provides a lower price for those who have time on Tuesdays, Wednesdays or Thursdays for a leisurely 2 day break. The security deposit is not taken until you pick the car up, and is done as a pre-authorisation on your card. This means that no money is actually taken, it just authorises us to take up to that amount in the unlikely event that the car is damaged during your hire.